Welcome to Naturopathic Weight Loss, where Dr. Jiwani can help you shed those extra pounds to achieve a leaner & healthier you. During your initial meeting, Dr. Jiwani will discuss your health concerns, medical history and treatment options, and how she can facilitate your healing process, so that together you both can journey towards your ideal health goals. Her motivating, compassionate, thorough and successful approach can empower you as her patient to take charge of your health. Dr. Jiwani will be investigating and treating the cause(s) of your weight gain to achieve easy, medically supervised, healthy naturopathic weight loss. Whether your weight gain stems from autoimmune disease, hormonal imbalance, food allergies, thyroid dysfunction and/or adrenal fatigue (stress), Dr. Jiwani can help you achieve not just weight loss, but a healthy change in body composition, helping you gain muscle and lose body fat. Dr. Jiwani wants to review your laboratory reports from your medical doctor to minimize lab testing required for you to achieve naturopathic weight loss. Naturopathic Services and Lab Testing may be covered by your extended health benefits, so it is always beneficial to consult your provider before your visit with Dr. Jiwani. Since Dr. Jiwani wants Naturopathic Medicine to be accessible to every person, she maintains extremely competitive pricing including her visit fees. Check out her Naturopathic Fee Schedule! Dr. Jiwani is licensed to prescribe pharmaceutical medicines as well, to assist in true complementary medicine. She can work with your medical doctor to help provide optimum healthcare for you. Please bring any and all pharmaceutical medications to your first visit with Dr. Jiwani. She has also been trained in laboratory analysis and diagnosis, to interpret your lab results and determine any required tests for further evaluation. Please bring a copy of all of your latest lab results to your first visit. Welcome to Naturopathic Body Sculpting, where Dr. Jiwani can help you get rid of all those areas we love to hate! Those frustrating, stubborn bulging areas of fat that are DIET & EXERCISE RESISTANT & of course CELLULITE! Dr. Jiwani is certified in Mesotherapy & Lipodissolve and has been treating patients successfully for years, helping patients using an individualized approach, to get smooth & sculpted. Another part of naturopathic weight loss addresses if you have stubborn fat and/or cellulite. Dr. Jiwani offers a Natural Fat Dissolver, the FAT BUSTING injection for Body Sculpting & Cellulite therapy. It’s a time tested treatment taught to Dr. Jiwani by the actual pioneers from France & Brazil, called Mesotherapy & Lipodissolve, or what she likes to refer to as: FAT BUSTERS! This technique has been used safely for decades in Europe & South America on thousands of patients. It’s not just Weight Loss, but Body Sculpting & Contouring to dissolve fat cells, tighten the skin and break down scarring. Spot fat reduction using a non-surgical, safe, all-natural FAT BUSTING injection that is cost effective with just a few treatments, and with no general aesthetic, a very short recovery period compared to liposuction. Mesotherapy & Lipodissolve is part of naturopathic weight loss, allowing natural fat dissolving for spot fat reduction, body sculpting and cellulite treatment. This is accomplished using a highly effective, short office procedure, allowing Dr. Jiwani to specifically target your localized fat deposits. My training with the pioneers of Mesotherapy & Lipodissolve has taught me that using 100% of the active ingredient produces the greatest effect. Other practitioners may dilute the active ingredient with other substances, and as a consequence, the effectiveness of the treatment is significantly reduced. Although this reduces the cost of the treatment to the doctor, the diluted solution requires more treatments overall, costing more to the patient in the long run. This is because the other injectable substances tend to be far cheaper than the active ingredient, and only a limited amount of solution can be injected. Also, patients want to see a big change in a short amount of time, with the least amount of treatments. Many other practitioners advertising Mesotherapy & Lipodissolve do so by the “SESSION” rather than the “AREA*”, which justifies them to inject less solution, producing less of an effect for a greater price. Patients have shared that my treatment costs for Mesotherapy & Lipodissolve are the lowest they have seen. Package payments are not required, making it easy and affordable to undergo this natural, minimally invasive form of body sculpting and fat dissolving for spot fat reduction and cellulite treatment. Dr. Jiwani attends 2nd Mesotherapy & Lipodissolve Conference July 2008 for Continuing Education & Latest Advancements in the field of Non-Surgical Body Sculpting of Stubborn Fat and Cellulite Treatment. World Renown Pioneers of the field passing on their knowledge include Dr. Jacques Le Coz, MD, Dr. Patricia Rittes, MD, and Dr. Roman A. Chubaty, MD (see above). 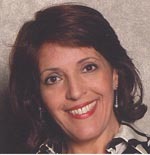 Dr. Jiwani was also individually trained by Dr. Roman Chubaty MD, A.C.S.M., A.A.A.M., L.M.C.C., and A.C.F.P. 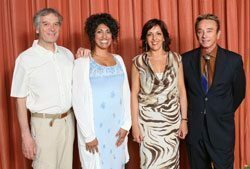 The top North American expert on Meso-Lipotherapy and President and Founder of the International Meso-Lipotherapy Society. 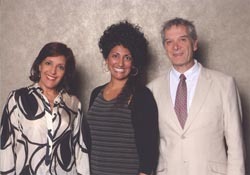 Dr. Chubaty trained under Dr. Jacques Le Coz, MD in Paris, France and Dr. Patricia Rittes, MD in Sao Paulo, Brazil. I have been trained and certified by Dr. Patricia Rittes personally, whom I met with and conversed with about the science & art of Lipodissolve. I am proud and honored to acknowledge that such a strong, brilliant woman physician has persevered over the decades to pioneer, research & teach her theory and practice of Mesotherapy & Lipodissolve. Thanks to her precise, methodical and practical teaching methods I am able to proficiently amalgamate my eighteen plus years of injecting with her refined techniques.